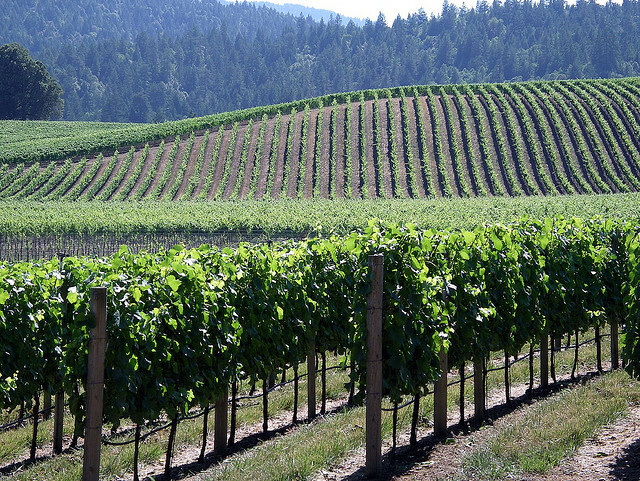 Image of Anderson Valley Vines via TChu on Flickr. 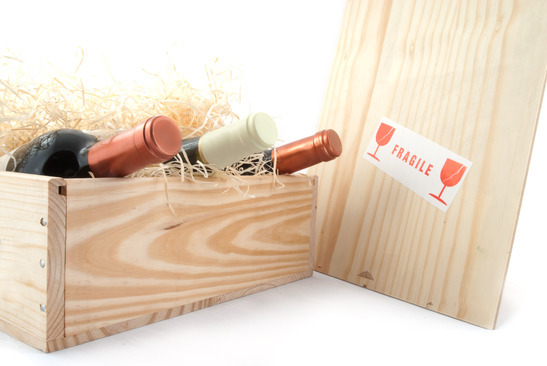 Sure, those award-winning, coveted bottles from world-renowned U.S. wine regions like Napa, Sonoma and Walla Walla add plenty of cache to any wine collection. But for some variety — not to mention the thrill of discovering secret gems — why not explore one of several up-and-coming wine regions that are just getting uncorked? Image of Anderson Valley Vines via T Chu on Flickr. Such places boast intimate tasting rooms and budget-friendly tasting fees, and the winemaker is often the one pouring. Here are four off-the-radar spots across the country whose wines deserve a toast. Flourishing fields of lush grapevines are an unexpected sight in a state better known for desert landscapes. But thanks to the efforts of pioneer winemakers such as the now-retired Gordon Dutt, known as the father of Arizona wine, tourists who like to tipple are turning up here to sample the fruits of their labor. Arizona’s high-desert climate, which mimics that of Argentina, is well-suited for grape-growing. The Willcox Wine Trail, located in the southeastern corner of the state about an hour’s drive from Tuscon, is generally regarded as producing high-quality wines. The region has 12 wineries, including Keeling-Schaefer, whose fruity Grenaches and Three Sisters Syrah are hands-down winners. About an hour northwest of more well-known renowned appellations of Sonoma County, past the white-knuckle-inducing curves of a 28-mile stretch of California State Route 128, lays Anderson Valley — beloved by Northern California oenophiles, but relatively unheard of elsewhere. Amidst idyllic backdrops of orchards and sheep farms, dozens of wineries along a 15-mile stretch of Mendocino County beckon with top-notch Pinot Noir and sparkling varietals, the standout varietals here as well as Chardonnay, Cabernet Sauvignon and Merlot. Some don’t-miss wineries include Navarro, whose stunning grounds are perfect for a picnic lunch; Elke, with a barrel-filled, pint-sized tasting room and fruit-forward Pinot Noirs; and Goldeneye, whose 2005 Pinot Noir was served at the inaugural luncheon for President Obama in 2009. More than 100 years ago, gold fever hit the north Georgia mountains, about an hour north of Atlanta, during the country’s second Gold Rush. Nowadays, the excitement in this neck of the woods is all about grapes, not gold, with more than a dozen wineries along the picturesque hills and valleys and new players popping up all the time. At the popular Tiger Mountain Vineyards, varietals like Malbec, Cabernet Franc, Norton and even Touriga Naçional are grown on 14 acres; the crisp, dry Viognier is a winner. Take in spectacular views at Three Sisters Vineyards, which produces popular varietals like Chardonnay and Merlot as well as some lesser-known stars like Cynthiana, an American grape grown by the Cherokee and early Virginia settlers that boasts a unique black cherry flavors. In downtown Dahlonega, stop in at the newly opened tasting room of Frogtown Cellars, and sample Inclination, a delicious, full-bodied white blend. Wine enthusiasts are surprised to know that Michigan has several wine regions and even its own official viticultural area, the Lake Michigan Shore. The AVA stretches across the southwestern corner of the state and spans magnificent Lake Michigan, the sixth largest freshwater lake in the world, which creates a temperate climate reminiscent of grape-growing regions found in Germany and France. There are 13 wineries in the region; standouts include Lemon Creek Winery & Fruit Farm, whose tasting menu includes 30 wines (try the Ice Cabernet Sauvignon); Domaine Berrien Cellars, a short walk from Lemon Creek with great Rhone varietals; and Gravity, with indoor and outdoor seating areas, plus tastings accompanied by cheese or chocolate. Whichever region you end up in, remember that part of the adventure is discovering not only new wines, but local ways of doing things — in Arizona, for example, most tastings include purchase of a wine glass (which you can keep for future tastings, and get a discount as well). Where’s your favorite off-the-beaten path wine destination? About the Author: Blane Bachelor is a San Francisco-based freelance writer who covers travel and outdoor adventure for outlets including New York magazine, Fodors.com, Runner’s World, and San Francisco magazine. When she’s not writing, she spends as much time as possible in Northern California wine country. Follow her on Twitter at @blanebachelor.